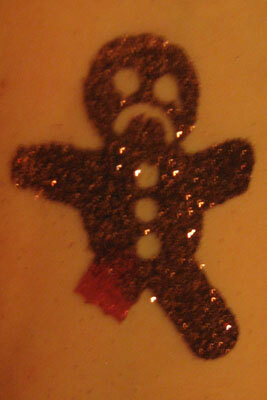 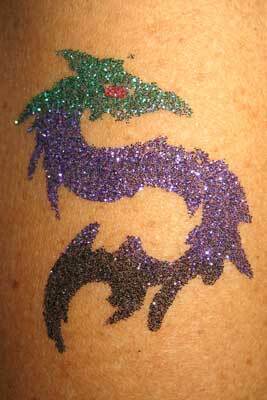 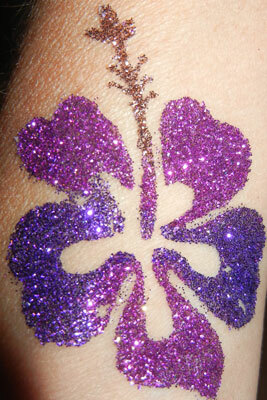 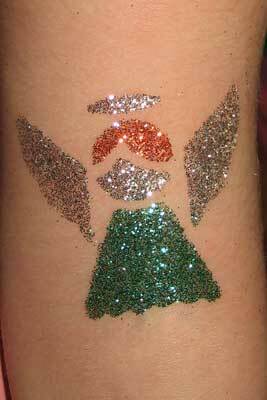 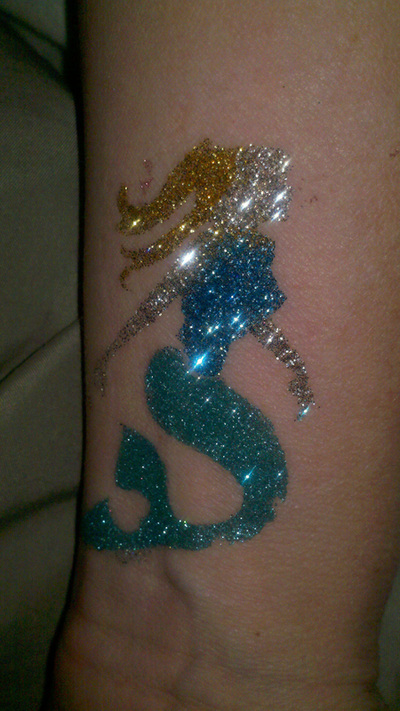 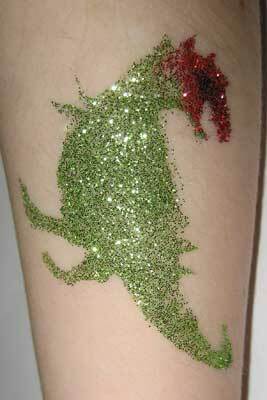 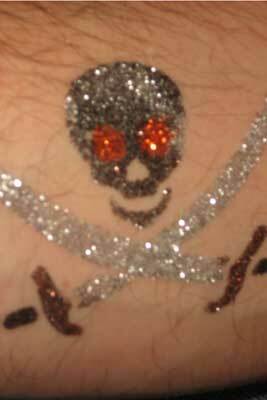 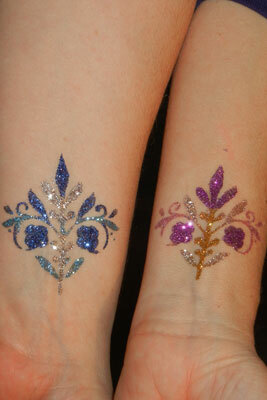 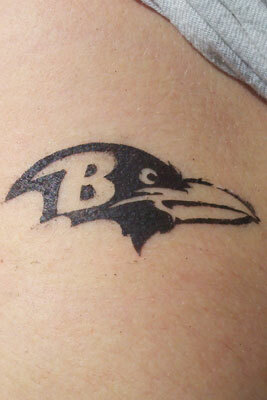 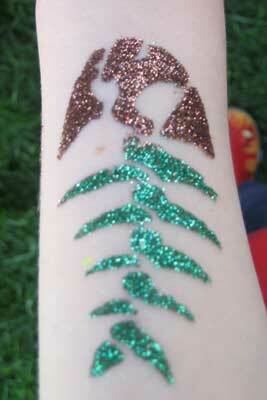 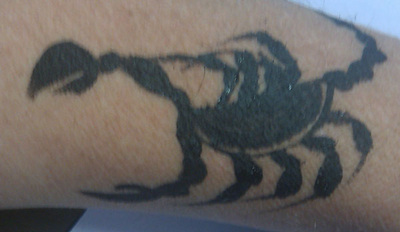 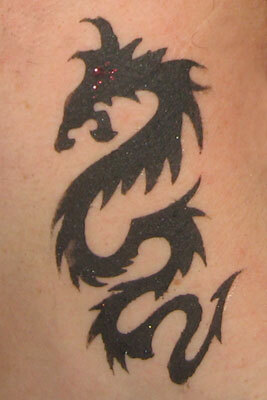 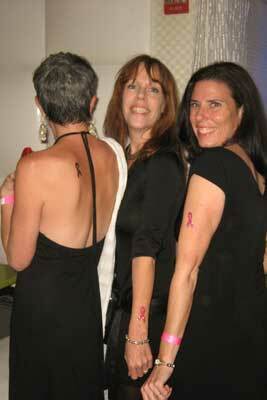 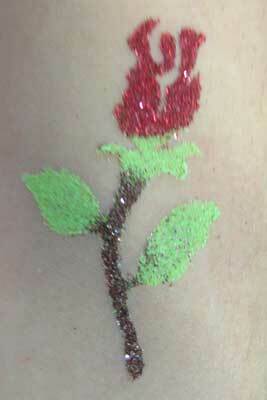 Temporary tattoos are popular with children and adults. 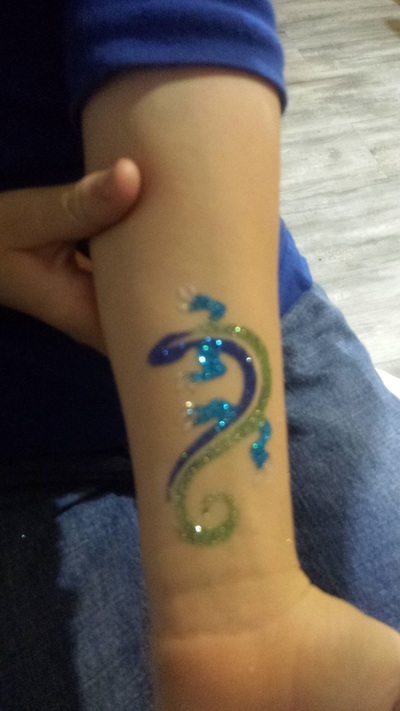 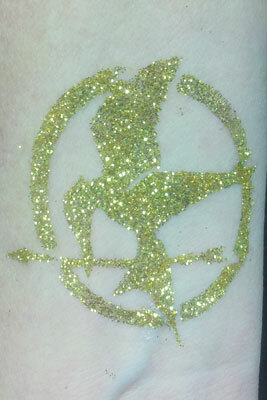 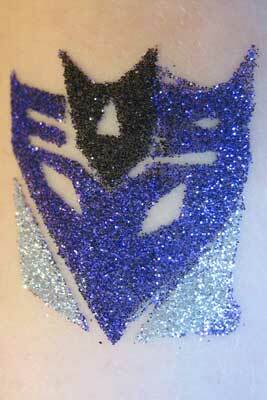 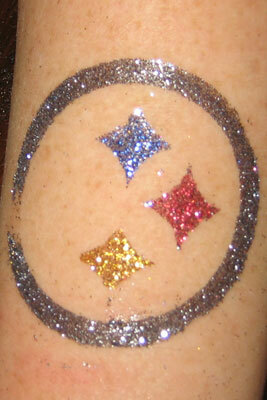 You may choose from a variety of designs, and personalize your tattoo with a selection of glitter and/or matte-finish powders. 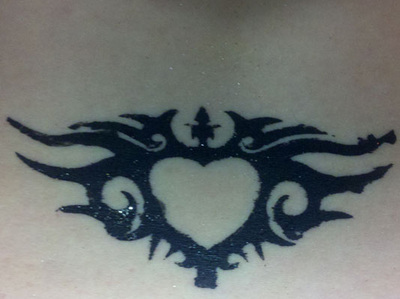 These tattoos are painless, safe, and non-toxic, and typically last 3-7 days. 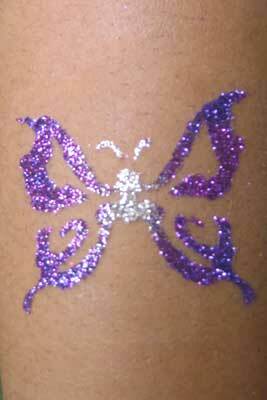 They can be removed earlier using baby oil. 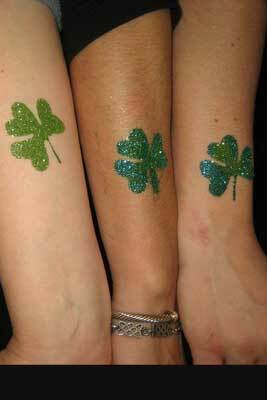 Contact us for rates and to plan your event needs. 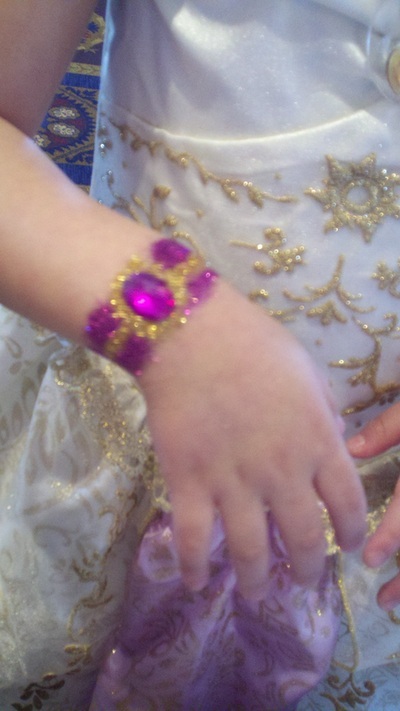 "The kids had a blast and we are still recovering from all of the excitement. And you helped make her party extremely memorable. 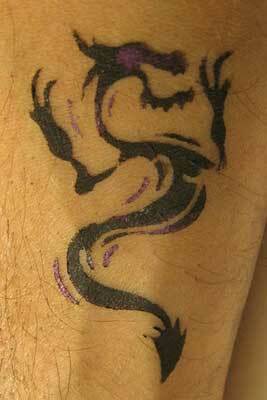 I will recommend you to others. Thanks again!"